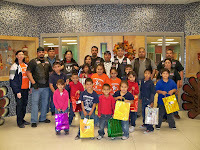 The Southern Justice M/C L/E organization donated sweaters, coats and jackets to students of Alto Bonito Elementary for the winter season. The members of this organization consist of mostly Law Enforcement agents and civilians. They usually try to help people who have lost everything in a natural disaster or fire, but this year they took a different route and collected money to buy coats for children to stay warm this winter season. 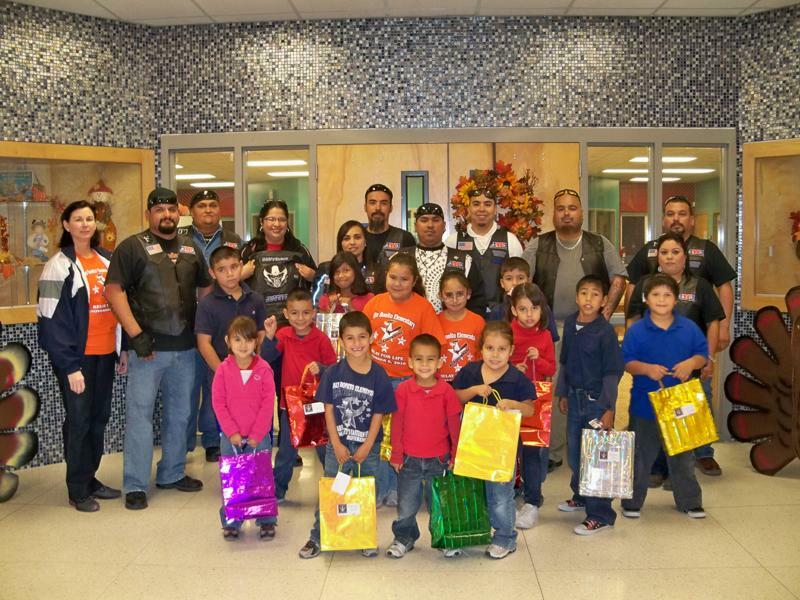 The students were excited to see them drive up in their different styles of motorcycles; and as you can see the smiles on their faces, receiving their first gift of the holiday season was exciting.